a part of Elemental Battles: Rage Ch. II: Fire, by Seveneleven. The Fiercest of all Terrain. Seveneleven holds sovereignty over The Vulcan Mountains, giving them the ability to make limited changes. 1,506 readers have been here. The Vulcan Mountains is a part of Nigerius. Proud homeland of the mighty Tenneth! 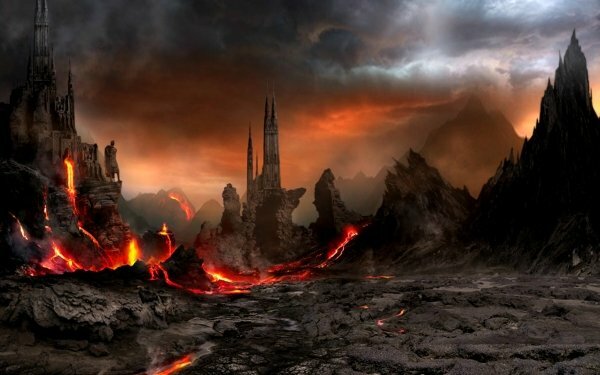 Along with the Canicus, the Packs of Fire have settlements up and down the far-stretching mountain range. One of the prominent features of the Vulcans are the number of active volcanoes that are apart of the range itself. Recently these lands have been dominated by the usurper, Prometheus. Chaz looked at the pair with worrisome eyes. He was the best at giving directions to begin with but if he knew a specific place then he could at least point them in the right direction. Oh dear, there was so much stuff near Mount Hephaestus that the poor Tenneth couldn't even begin to tell them what they might find over there! Even worse that's were most of the Guards are stationed at, especially since Hephaestus Road leads to the Alpha's Castle and that place is crawling with Warriors! Not to mention that Chaz himself isn't allowed anywhere near that area! Only authorized Tenneth are! Oh, he would get into trouble for sure! With that said he knows sending these two towards the area alone will doom them! If he isn't even allowed near there then a foreigner is definitely barred! There only chance is with him, if he could at least hand them off to a superior then they should have an easier time. Chaz does believe there is a Wolf that handles foreign relations around that area, and does assume that's where they are heading. Of course they would need clearance and it seems these messengers are indeed, quite lousy as Blossom suggests they are. As scared of the whole dilemma that he is, Chaz on the other hand, doesn't wish to see these kind Wolves be harmed! So far these two have been the closest thing to friends he's made. Trembling, Chaz weakly speaks, "Well...since I don't know exactly the place you had in mind...I-I-I-I-I-I...," What seemed to be forever hearing Chaz stuttering the letter I, the awkward Tenneth finally spoke, "....Okay! I'll lead you over there!" He shouted at last. "Only because there's alot of scary Tenneth over there that will roast you guys the second they see you! But if you're with Chaz they might think twice. I hope." He said not sounding confident in the slightest. "If I can get you messengers to the Embassy then I can hand you off to them and I think you should be safe. Then again maybe not, I've never been anywhere near there...Chaz was never allowed to go anywhere important since I don't have any clearances." He said with a sigh. He then looked at the two. "Well, how about it?" He asked. "I know it's not much but it's the best poor Chaz can do." That, Blue was sure of. She gulped, and made a face at the bitterness in her mouth. It would not be enough. This disgusting taste would not do. She staggered to the side and spat out any remaining bile. "Damn! You disgusting rebel, how dare you throw up on my fur?!" The enemy barked as he made a swipe towards Blue. "Enough of the ruckus! Drag the rebel if you have to, she is going to pay for what she has done, her along with all of her little friends!" Blue growled in irritation, ears flicking backwards as she turned to look at the idiot Prometheans that had captured her. "Hah, what friends? I don't like assumptions..." She ducked the swipe that had been directed at her. Behind the two fire brutes, a black shadow of a wolf rose. Blue exhaled, and tried to calm her racing heart as she looked out at what she saw. Fire and heat ran rampant, consuming whatever could burn in this hellhole of war. The Rebels. The Prometheans. Bodies lay strewn across the streets. Death cared not for factions or loyalty. It took everyone. And still, among the debris and wreckage of fighting elemental wolves, there were still those who fought.... aggressively, not valiantly. No longer caring for doing what was right, but saving their own hides and choosing to reap from the downfall of others. In this tiny heap of the many wars that had raged on in this world, Blue saw what had been preached to her since she was cub. These wolves had no hope left for them. They could not be saved. Only expunged. It was evident to her. It was all Tiberius could do to keep a grin on his face. Each little repetitive "I" that Chaz made in his nervous chatter made the Arlyne's grin clench all the harder, to the point where it was debatable whether he'd get his teeth stuck together. Tiberius was tired of being walked, tired of being parched, and tired of being nervous. Blossom hadn't ever told him where they were REALLY going, and now it seemed that even she didn't know. Hopefully it wasn't the very same place that this shaking Tenneth inferred that they would be roasted by some guards. Tiberius didn't even like his food roasted, never mind his fin. Finally, Chaz started moving. Eager to please and more eager to move, Tiberius quickly agreed with the nervous wolf. "Sure sah! We are no good with this place, yeah! The faster you get us out of your fur the faster we can get our stuff done and then go get a drink! This place burns, yeah?" Tiberius exclaimed, his phrase being as much about venting as it was to prod their guide onward. Tiberius glanced at Blossom with a mixed expression before following after Chaz, waiting for his friend to catch up so that they could walk side-by-side. He had zero intent of following Chaz to whatever end goal he had thought of. As soon as they could get their bearings proper with some sort of town, they could ditch him to go find what they had actually come for. Whatever that was. Hopefully it came with a big block of ice. To eat up or to sleep on, he didn't care which. Blossom was so scared of what Chas would say that every word he said had a physical response from her in the form of a twitchy wing. He was so unsure of himself and the situation that when he agreed, Blossom's wing was nearly unfolded all the way. "Yes!" She jumped and with a grin on her face, tried not to look so bedraggled. She was so excited, she didn't even pay attention to anything else he said. All she had on her mind was water. Buckets and buckets of it. And then food. Maybe Chaz knew where to get these essentials. "Let's go already!" She yipped, as she bounced after Chaz and Tiberius. With her wing tugged tightly to her side, she bumped Tiberius with her shoulder. "I am lord of lies," she whispered so as to keep Chaz from hearing. "What do we do when we get there?" Unsure of how this walk would end, she accidentally asked Tiberius this. Not realizing that maybe, letting him know just how little she knew might make him mad. Poor Blossom, self proclaimed lord of lies was actually a very bad liar. Plus, she didn't know how to keep a secret from her best friend Tiberius for very long. So it was completely natural for her to ask him this question, that perhaps, the Arlyne did not have an answer to.